Juvenile court cases alleging neglect and abuse also involve the rules and regulations of the Department of Children and Family Services. These cases can be very complicated. The Law Offices of David Guy Stevens, LLC is seasoned and experienced in handling all such matters. Juvenile delinquency law deals with crimes and offenses committed by children who are referred to as minors. The maximum age allowed for a case prosecuted in the juvenile court is sixteen for most juvenile felony offenses and seventeen years of age for juvenile misdemeanor offenses. If your minor child has been charged with a crime in juvenile court, the law requires that he or she be represented by an attorney. Minors involved in juvenile court matters have most of the same rights adults would have if they were charged with a criminal offense. These rights include the right to remain silent, the right to cross-examine witnesses against them, and the right to require that the State prove their guilt beyond a reasonable doubt. Additionally, in Illinois, juvenile court records are not open to the public. Juvenile court records are sealed, to prevent access to them by employers, colleges and the general public. 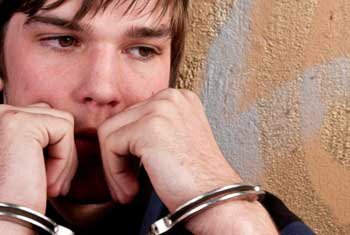 If a juvenile is found to be guilty of a crime or offense, he or she may receive court supervision, probation, or a sentence requiring them to serve time in a juvenile correctional facility. An experienced juvenile defense attorney can zealously defend the matter at trial or work with prosecutors to negotiate a resolution that provides for the least severe punishment, depending upon which approach is appropriate. Many juvenile cases also involve minor children who are alleged to have been neglected and/or abused. These cases almost always involve the Department of Children and Family Services as well as local law enforcement. These cases are very intimidating and potentially harmful to the entire family structure, particularly when the facts of the case are misinterpreted by law enforcement and social service agencies. They have long term consequences and they require the most knowledgeable and aggressive defenses. Standing accused in a juvenile courtroom is a frightening and stressful event. Having your child removed from your home is even more frightening. You should secure skilled and knowledgeable counsel who will assist you in navigating the juvenile justice system, and provide a zealous defense in order to minimize the impact on your child’s life. Do not delay in contacting an experienced juvenile defense attorney.